These weeks fly by so quickly! Here it is wednesday again! Two days closer to the weekend and back with another Lash review! Today I will be reviewing Shiseido’s Perfect Mascara Full definition. I received this as a sample in an online Sephora order, I am a sucker for samples and think it is a great way to try a product before investing your money! Because like most I hate returning. 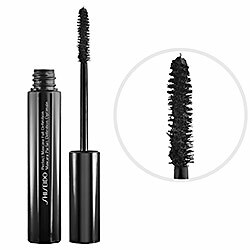 This shiseido mascara is designed to add volume, length and also separate the lashes. It is also mentioned to be non clumping, and contain the ingredient camellia oil complex to keep the lashes healthy and conditioned. It can be purchased in two colors: black and dark brown. It is $24.00 for a 0.29 oz size. 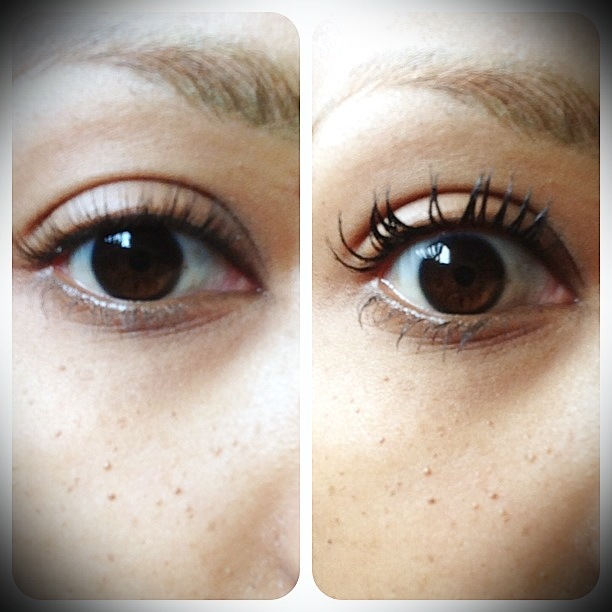 Up above is my before and after of the Shiseido mascara. Although you can see a difference in volume, it is not one of my favorite mascaras. I have personally seen more volume and length in other mascaras. I also noticed it beginning to clump more than expected during the second application of product. I personally would not purchase this product at $24. It might not work for me, but it just might work for someone else. It does definitely give some results but not the results I am looking for. And this is the perfect example of why I love samples! I was able to give it a go without having buyers remorse! Until the next we love lashes wednesday.